Heavy duty applications cannot be overlooked as it is very common when it is matter of conveying stone, marble, granite, mining, metal working, wood and much more. The conveying of such heavy loads is daunting task, many of the conveyor belts are failing in thereof, is needless evident. The offered conveyor belts are the best version of our efforts that has set new benchmarks in the market for addressing the issues associated with heavy load applications and outperforming under the severe conditions and hence get recognized as the conveyor belt for heavy load applications. The offered conveyor belt is basically a PVC/PU multiply structure, wherein multiple layers of the polymer material is fused by means of the hot vulcanization to reinforce and impart notable withstand capability against heavy loads. 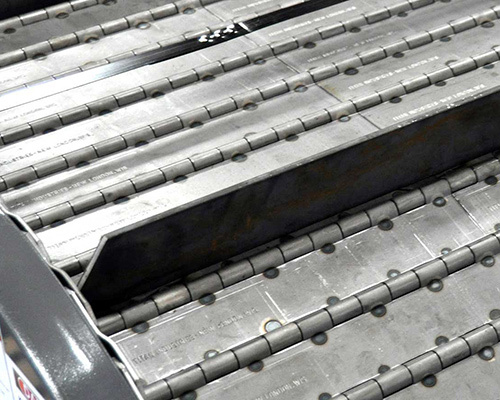 The carcass is covered within the layers to impart notable impact strength and prevent the breakage of the conveyor belt when subject to the heavy loads. The stringent quality tests followed by quality controlled manufacturing enable us to carry off the highest quality collection of the heavy load conveyor belt that shares utmost impact strength, durability, resistance against abrasion and cuts and is what makes it the thoroughly worthy investment for heavier load applications. These conveyor belts come in the different measurements and also in custom made range with accompany of the cleats, sidewall and different profiles as per application requirement, by investing in this you can get favorable results at low cost.